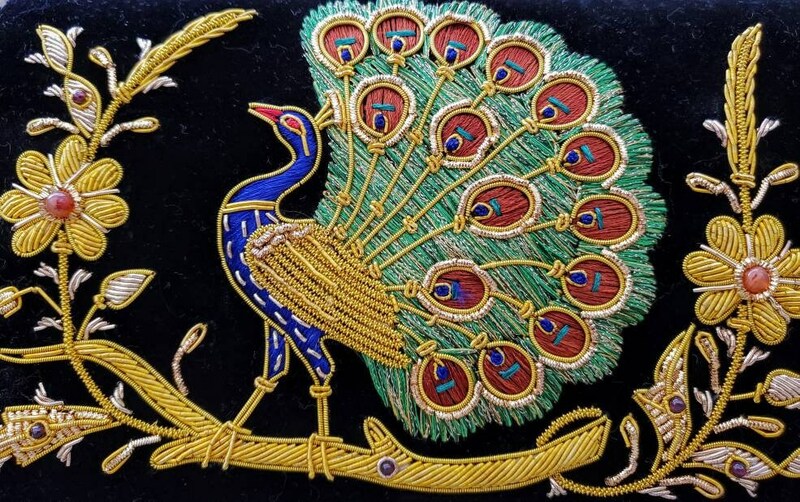 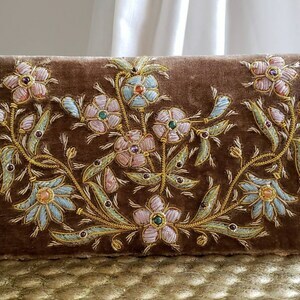 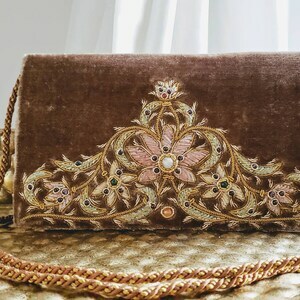 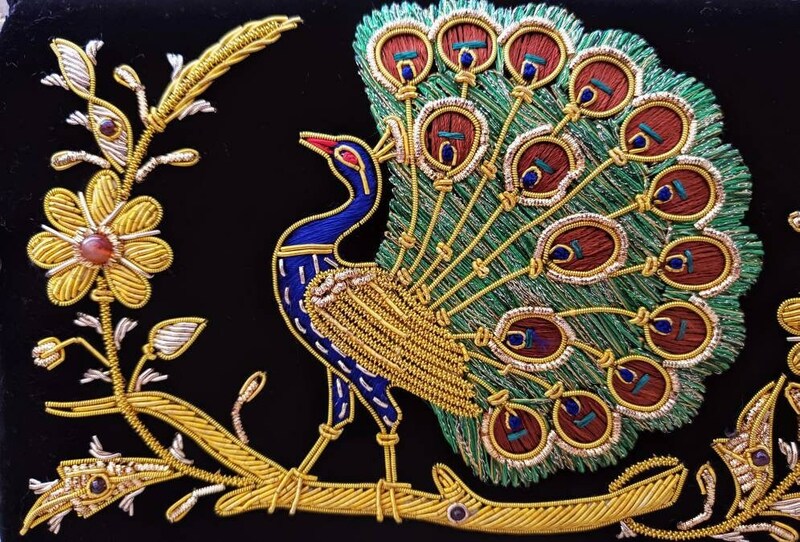 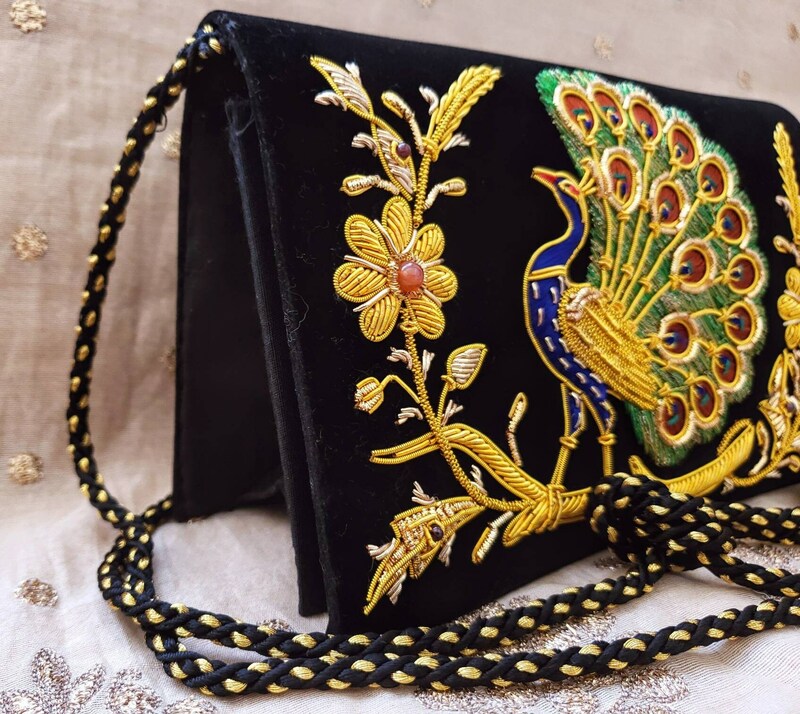 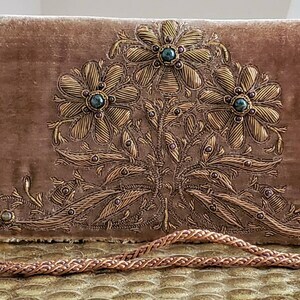 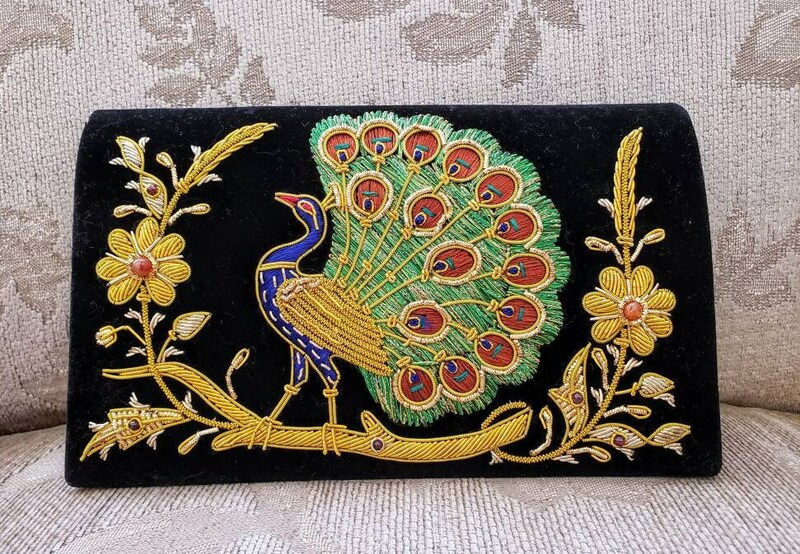 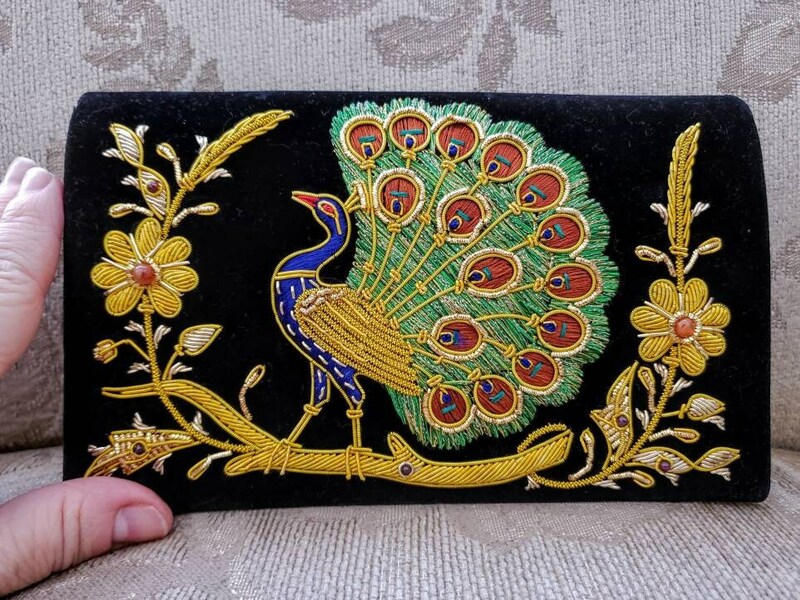 Exceptional hand embroidered black velvet evening bag , using metallic gold colored threads and silk threads, in the Zardozi tradition. 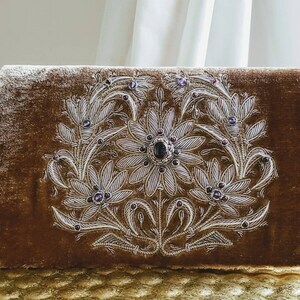 Genuine carnelian stones sewn in, to create a 3D effect. 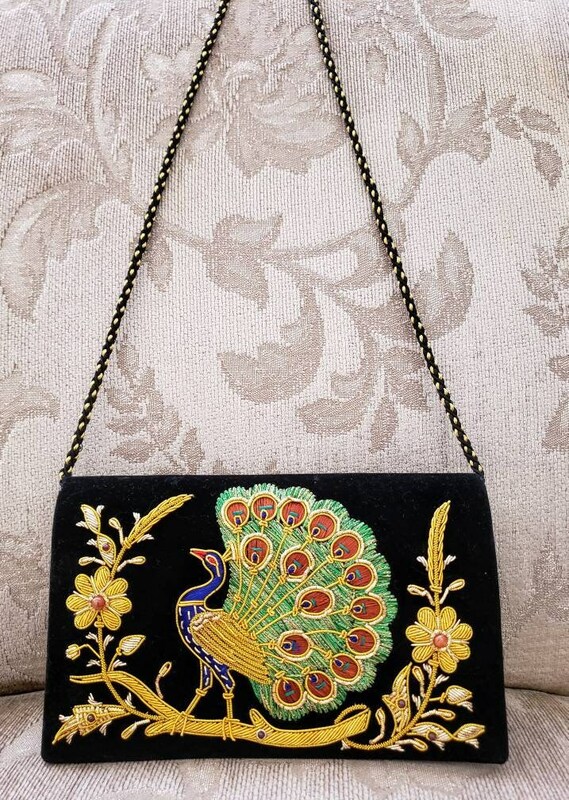 Measures 5.5 " H x 8 " W x 2.5 " D. Braided black and sparkly gold corded shoulder strap with 15.5 in drop, which can be tucked inside.